Just a little over a week before the ghosts and goblins hit the streets. Let’s check thing: treats- yes, tricks-maybe, music-why not? 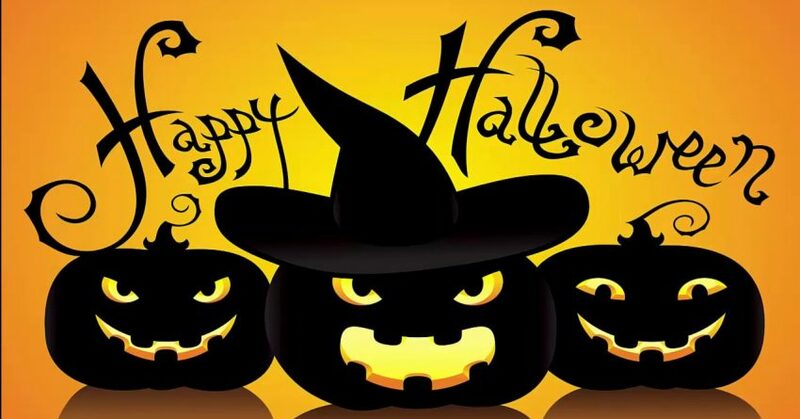 Courtesy of timeout.com, here are 7 great songs to add to the fun of Halloween evening. And you’ll hear most of these on Halloween on 899 the Wave. “I’m not like other guys,” Michael tells his girl at the beginning of the greatest video ever made, from the greatest album ever made. Did we realize how prescient that statement would be in 1982? So much of “Thriller” shouldn’t work—MJ is a doll, 71-year-old Vincent Price raps, and it’s six minutes long. But together, it’s ballsy genius, riding on an insistent, funky Minimoog bass line. “I wish to stress that this film in no way endorses a belief in the occult,” Jackson wrote concerning the video. No, but the Elephant Man bones and chimp did. If Rockwell (real name Kenneth Gordy, son of Motown founder Berry) shivered at Big Brother’s glare in 1984, one can only imagine what he’d make of the Internet age, where the government, news media and rogue hackers are all equally likely to be keeping tabs on you. The “Thriller”-esque hook comes courtesy of Rockwell’s buddy Michael Jackson, a good dude to have on speed-dial, though I’m not sure how much help he’d be if you’re looking for someone to check for monsters in the closet. Somewhere between Brecht and Weill’s “Mack the Knife” and Bret Easton Ellis’s American Psycho lies Warren Zevon’s silly-witty 1978 novelty hit about everyday monsters. Over an irresistible three-chord piano riff, Zevon’s gift for dark comedy expresses itself in lyrics that swipe their claws slyly at the banality of horror—“I saw a werewolf drinking a piña colada at Trader Vic’s / And his hair was perfect”—but the droll wolf-call refrain (“a-hooooooooo!”) makes you want to give up and join the pack. The perennial holiday favorite (or Halloween party-atmosphere–killer) was released in 1962, and has been clawing its way out of the grave every year since. It’s been covered by maybe the most eclectic group of bands of any song ever (the Beach Boys, Bruce Springsteen, Vincent Price, Alvin and the Chipmunks, the Smashing Pumpkins and The Misfits, to name but a few), but the moldy old original is still the preferred classic. Blue Oyster Cult’s death song, a creepily seductive exhortation to go gently into that dark night, became an instant rock classic when it came out in 1976, and has been a staple of horror culture ever since, notably in Halloween and Scream. (Its unconventional percussion also inspired a beloved Saturday Night Live sketch, with a shaggy Will Ferrell cavorting in an undersize tee and Christopher Walken barking “I gotta have more cowbell, baby!”) BOC’s lead singer and guitarist, the colorfully named Buck Dharma, insisted that the song was not about a romantic suicide pact, but it’s hard to know how else to read lines like “Romeo and Juliet are together in eternity…We can be like they are.” The velvet sheath of Dharma’s mellow vocals doesn’t cover the scythe. There are at least two Time Out New York editors who believe that the part of this 1984 classic where Parker ecstatically croons, “Bustin’ makes me feel good!” is the single-greatest piece of music ever recorded (and they will fight you over this opinion). Huey Lewis actually sued Parker over the song’s similarity to his “I Want a New Drug,” probably because he was jealous of how much better “Ghostbusters” is. What’s spookier than hearing Brian Johnson’s freakishly scruffed-up yowl ring out in the middle of the night? This song was released on the singer’s first album AC/DC following Bon Scott’s death, Back in Black, and in true grandiose hard-rawk fashion, the band recorded an actual 2,000-pound bell for the intro.